When it comes to keeping your mouth clean and healthy, your toothbrush is probably the number one tool for the job. While brushing is certainly important in removing harmful plaque and bacteria from the teeth and gums, it often falls short in properly cleaning the tongue. If your oral health needs a boost, a tongue cleaner is an affordable way to improve your dental hygiene routine. In order to keep bacteria levels in the mouth under control, good oral hygiene is a must. While brushing and flossing are vital, using a tongue cleaner helps to scrape away extra bacteria and plaque. This removes these harmful organisms before they have a chance to attack the teeth and gums. A tongue cleaner will allow you to clean the hard-to-reach areas of the tongue, removing particles that may have otherwise been missed. When it comes to digestion, the intestines often get all of the credit, but the process actually begins in the mouth. Digestion starts with the tongue and saliva, so it is important that any toxins or bacteria that could obstruct the process are removed. A tongue scraper will clean the tongue of any bacteria or toxins that could compromise the digestive tract, and it also stimulates saliva production. The saliva further aids in proper digestion by kicking off the chemical breakdown of food particles. A clean tongue will go a long way in keeping the rest of your body healthy. 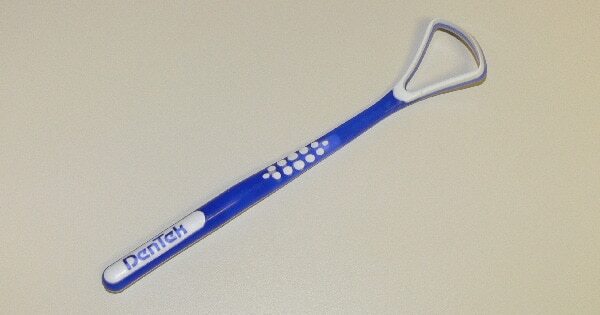 Use of a tongue scraper can eliminate the unhealthy bacteria that carry illness-causing viruses. Likewise, bacteria that are allowed to linger on the tongue could travel down the throat and settle in the stomach, leading to ulcers and a host of other problems. A tongue scraper can reduce these risks, and as a result, you’ll enjoy a boost in your overall immune function. Chronic bad breath, or halitosis, can have a negative impact on your life. What you may not realize is that bad breath doesn’t just develop after eating a stinky meal. Most bad breath is caused by bacteria colonies found way on the back of the tongue, which may be difficult to access with a regular toothbrush. A tongue scraper will allow you to reach these tricky places, and as a result, you should have fresher breath. Your tongue is covered in the taste buds that help you to enjoy the flavor of your food. After you eat, food debris and dead cells can coat the tongue, clogging the taste buds and leaving you with a metallic taste. Using a tongue cleaner can help to improve your sensation of taste, allowing you to better appreciate the sour, sweet, bitter, and salty foods that you consume every day. A tongue cleaner is an affordable piece of dental equipment that can be purchased from any drug store or pharmacy. By making this small investment, you can enjoy a big impact in your oral health.